What Kind of Investment Advice Would Don Draper Have Received? Everyone’s been talking about the Mad Men series finale lately. I’ll spare you my opinion on Don, Betty and Peggy’s swan song, but I’ve been a huge fan of the show since day one. Midway through the final season, Don Draper was finalizing his divorce with former secretary-turned-failing-actress Megan. To save both of them the trouble of dealing with lawyers to split up Don’s estate, he pulled out his checkbook and wrote Megan a check for $1 million. This seemed like something of a peace offering by Draper for the way he treated his soon-to-be ex, considering his womanizing ways. Of course my finance-based mind immediately thought about the investing implications. Why would Don have a million bucks just sitting in his checking account earning no interest? Why wasn’t that money invested in the financial markets? And where would Don have likely been guided by a financial professional in the early 1970s with that kind of cash? First of all, any smart advisor would have helped Don shelter some of his income from taxes since the top tax rate in 1970 was 70%. As far as portfolio moves go, I’m guessing 9 out of 10 money managers would have been telling Don to put his money in the Nifty Fifty blue chip stocks that were so popular at the time. I’ve been doing some research into these stocks lately because I’m fascinated by historical bubbles and irrational investment decisions driven by the herd. If you’re not familiar with the Nifty Fifty, it was a group of stocks in the late 1960s and early 1970s that were thought to be can’t-miss investment options because of their earnings growth and strong corporate brands. They were well-known companies such as IBM, Xerox, Avon, Texas Instruments, Polaroid, Disney, and Coca-Cola. Institutional investors loved these stocks so much that they were considered to be “one decision” plays in that you just bought them and held on. Investors became so enamored with this group of growth stocks that they didn’t mind paying 50 to 100 times earnings for them while the market average was closer to 18. McDonald’s, Hewlett-Packard and Disney were trading for close to 70 times earnings by 1972. Coca-Cola sported an earnings multiple north of 80. Polaroid had a P/E of almost 100. These fifty stocks, on average, were trading for more than double the P/E of the market as a whole, but with a dividend yield that was less than half of the market’s. There was no way these behemoth companies were going to live up to such lofty expectations and predictably, the fallout was severe. Many of these stocks lost anywhere from 70% to 95% of their value in the ensuing bear market. Xerox fell 71%. Avon lost 86% of it’s value. And Polaroid got slammed 91%. As high as the price to earnings multiples got near the end of the bull market, the crazy thing is that following the brutal bear market of 1973-74, the average stock in the U.S.markets traded for just seven times earnings. Even though most of these stocks got destroyed in the 1973-74 bear market, had Don held on and gifted some of these stocks to his children — Sally, Bobby and Gene — things actually would have turned out okay for them if they would have waited a few decades. Many of these well-known companies turned out to be great investments, regardless of their overvaluation at the time (it was actually the consumer stocks that performed the best; the high-flying tech stocks of that day drastically underperformed from that starting point). It just would have required a very patient investor to sit through the crushing losses that followed the height of the Nifty Fifty era. Who knows? 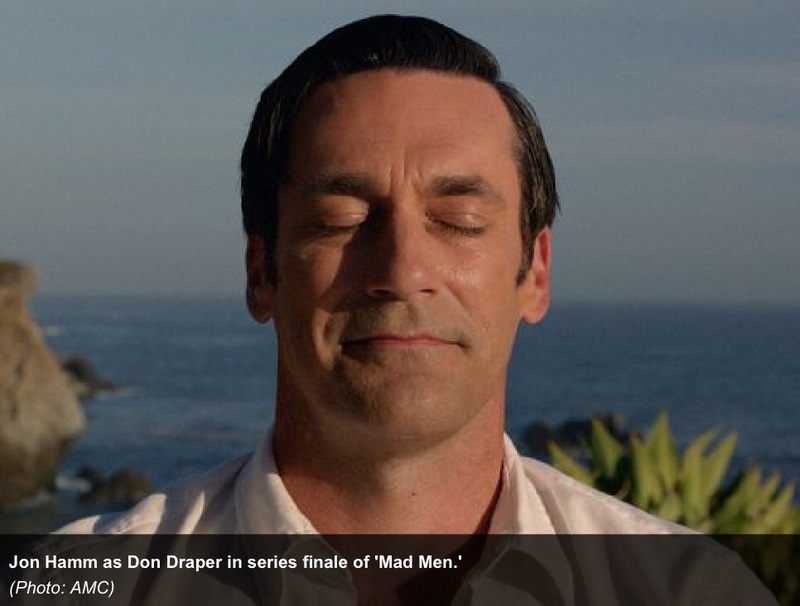 Judging by the end of the Mad Men finale, which saw Don calmly practicing yoga up on the cliffs of California, maybe he would have had enough patience to pull this off. Was the 1966-1982 Market Really That Bad? Good one. Agreed. The only time I think volatility does constitute a risk is when it causes you to abandon an investment plan. In that case understanding how much short to intermediate term stock risk you can handle is very important in achieving your goals. And that point is a biggy. It’s easy to feel you hand handle a lot of volatility when the market has been going up for years. But when the tide goes out……Although what Buffett is saying is quite true, I think it may lead to some taking on a more stock heavy portfolio than they can handle when the market eventually crashes again. Yup, much more important to understand yourself than anything else as far as the markets go. The only reason the Nifty Fifty turned out to be ok investments (which I describe as outperforming the S&P 500 – if one held to the year 2000) was from the performance of one stock. Philip Morris. Great point. I think it’s returned something like 19%/year since the 1960s. Thanks for the reminder.